BROWNSTOWN, IN (March 22, 2014) – Don O’Neal raced to his fifth career Indiana Icebreaker win on Saturday Night at Brownstown Speedway. 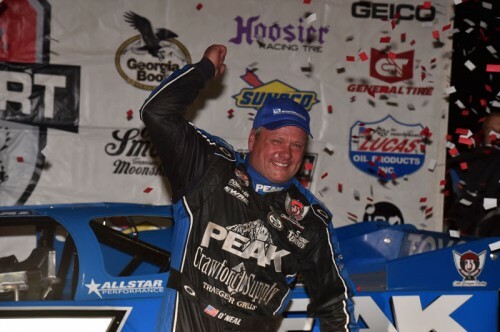 It was O’Neal’s first triumph for Clint Bowyer Racing and his 34th Lucas Oil Late Model Dirt Series victory and his 54th career win at Brownstown Speedway. O’Neal took the lead from Eddie Carrier, Jr. on lap eleven and led the remainder of the race. Carrier finished second followed by Steve Francis, Scott Bloomquist, and Kent Robinson. The 50-lap feature went caution-free. While O’Neal and Carrier were firmly entrenched in first and second a terrific battle for third, fourth, and fifth was ongoing throughout the entire race. Francis, who started 11th, climbed to third after a torrid battle between Bobby Pierce and Scott Bloomquist allowed Francis to clear both of them with 17 laps remaining. Completing the top ten were Pierce, Jeep VanWormer, Earl Pearson Jr., Ray Cook, and Devin Moran. With his win tonight, O’Neal took over the series championship point lead for the first time in 2014. In preliminary action, Eddie Carrier Jr. set the overall Miller Welders Fast Time (Group A) amongst the ­45 entrants, with a lap of 14.533 seconds. Scott Bloomquist set the fastest time in Group B with a time of 14.989 seconds. Eddie Carrier Jr., Don O’Neal, Scott Bloomquist, and Earl Pearson Jr. won their respective heat races. Duane Chamberlain and Shelby Miles won their respective B-Mains. For the latest breaking news on the Lucas Oil Late Model Dirt Series, log ontowww.lucasdirt.com and follow the series on www.facebook.com/lucasdirt andwww.twitter.com/lucasdirt. 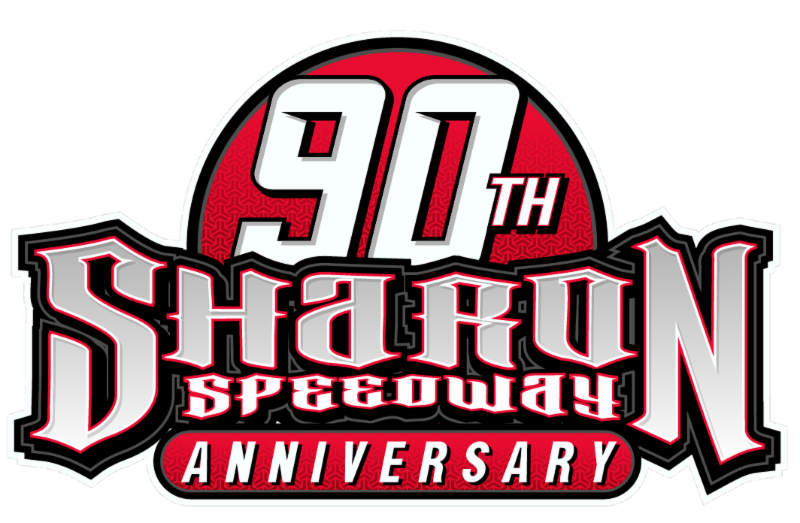 Lucas Oil Late Model Dirt Series Provisionals: John Blankenship, Dennis Erb Jr.
Keyser Mfg Spoiler Challenge Point Leader: Earl Pearson Jr.
Allstar Performer of the Race: Eddie Carrier Jr.
Dunn Benson Ford Rookie of the Race: Will begin after RoY registration deadline. Midwest Sheet Metal Highest Finishing Rookie: Will begin after RoY registration deadline.